Do you have any ideas for creative winter play? Freeze water with food coloring, sand or other textures in clear plastic containers so that children can see what is inside and use them as blocks. If it is cold enough, let the containers freeze outside. Bubble Freeze – blow bubbles & catch one on the bubble wand. If it is cold enough, it will freeze like a crystal ball and then shatter! Freeze some items (leaves, acorns, small toys) in an empty paper container, then rip off the paper and see how the children can get the items out. Freeze blocks of ice and build small igloos – freeze ice in bread pans, ice cube trays, etc. Go on a nest hunt. With all the leaves off the trees, nests are much easier for children to spot. Look high and low for bird and squirrel nests. Keep count. How many can you spot in your neighborhood, the local park, or on your center grounds? Encourage children to flap their arms like a bird or scamper like a squirrel each time they spot a nest. Search for and collect the colors of winter. Although more challenging than in other seasons, there are still plenty of colors about in winter. For an added challenge, search the crayon box for the closest matches to the colors found outdoors. Decorate bare trees with paper snowflakes, colored lights and bells. Plant bulbs indoors – paperwhites & amaryllis. Put on the rain boots and splash in puddles. Bring paintbrushes outside and use the water from the puddles to paint on the sidewalk. Talk about how water flows: down gutters, along creek beds, down hills, down to where puddles form. Bring out plastic tubes for water flow experiments – what else can travel down the tubes? Catch snowflakes on black construction paper and use a magnifying glass to get a good look at them. Catch snowflakes on your tongue. Ask: How many can you catch?, or What does it feel like when it melts? Look for animal tracks in the snow or try to identify “Kid tracks” (stand in a row and then have everyone take a few steps). Build kid-sized snow forts or homes for the snow fairies. Go sledding. Even without hills, children will enjoy pulling one another on the sleds. Shovel snow – just for fun or shovel the snow into a maze that children can navigate. Use traditional sand play toys, such as buckets, shovels and trucks, to mold and shape the snow, just as you would sand. Use squirt bottles filled with colored water to snow paint. Food coloring is non-toxic. 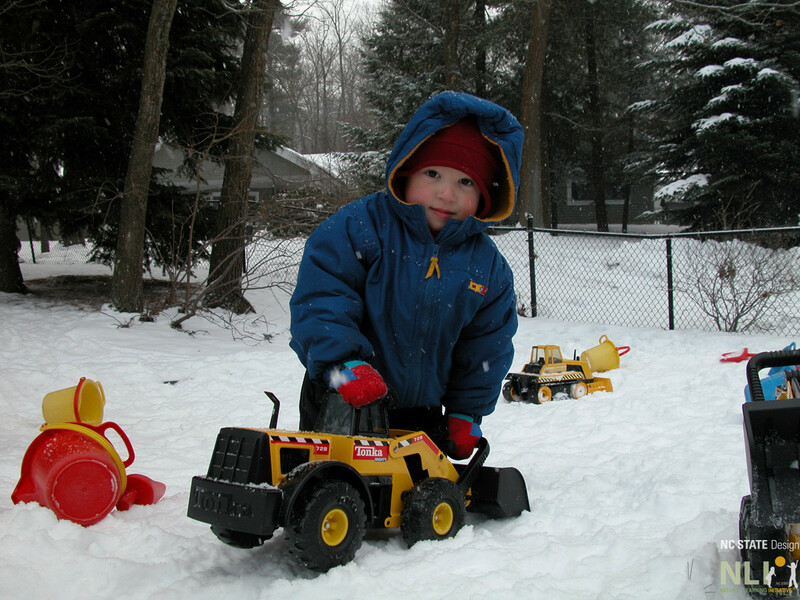 A boy plays with a truck in the snow at the Wellesley College Child Study Center. 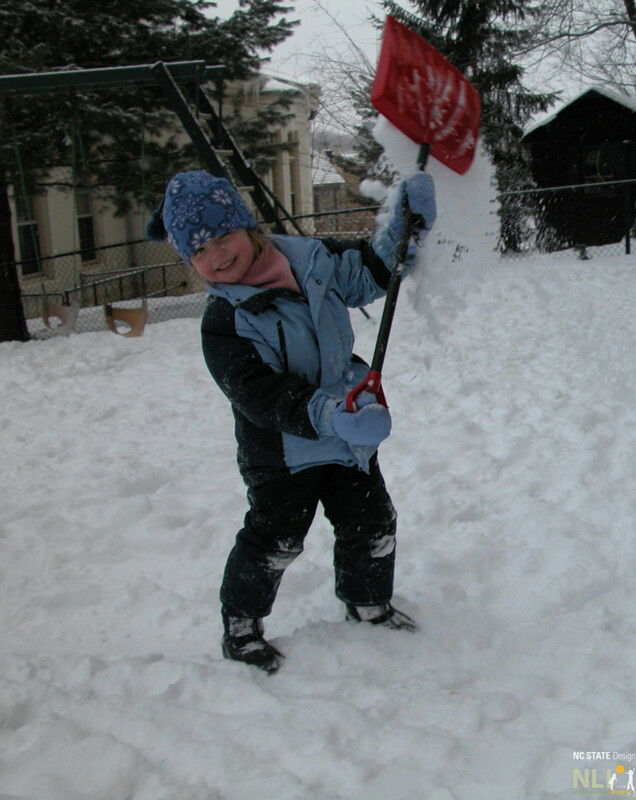 A child shovels snow for fun at the Wellesley College Child Study Center. 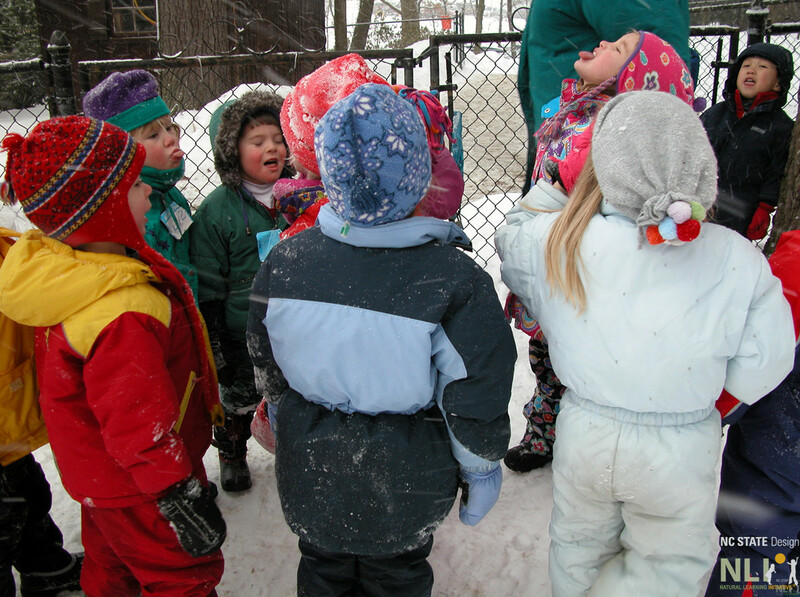 Children catch snowflakes on their tongues at the Wellesley College Child Study Center. As the sun and physical activity warm the children they shed their hats and mittens. A bare fig tree makes a great hat rack. 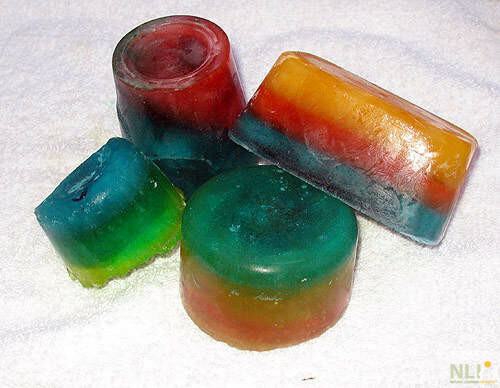 Water frozen with food coloring make colorful ice blocks that are fun for play.